Keepmoving.cz is a web presentation of „Sport School – J. Kral“ (established in 1992). Our main focus is on providing Swimming courses where children and teenagers learn to swim and improve their swimming skills. Our major purpose has always been to bring up healthy and proficient people rather than top sportsmen. However, we gladly provide talented and competitive children the opportunity to become members of our Porthos Club. This club introduces potential young competitors to the world of modern pentathlon. We strongly emphasize effective communication between parents, children, and coaches. In response to the wishes of children in our courses and trust expressed by their parents, we offer occasional organized Outdoor activities. Through high-quality training we want to teach our young clients that they can enjoy sports and make physical activities part of their lifestyle as a natural solid base of their health. Jiri Kral is the leading coach and the founder of Sport School – J. Kral. He graduated in from FTVS UK (Faculty of Physical Education and Sport at Charles University in Prague) in 1975, where he later worked as Assistant Professor at Department of Athletics. He also worked as Physical Education Teacher at SOU Zelený Pruh and at Gymnasium Altis. He specializes in kinesiology, functional anatomy, and sports coaching as well. He also actively contributes to building training plans and sessions of top Czech swimmers as a strength and conditioning coach. We offer sessions for beginners as well as for those who want to improve their swimming skills. Our clients are typically between 6 and 18 years old). However, we are also able to satisfy clients outside of this range after individually evaluating their skill level. 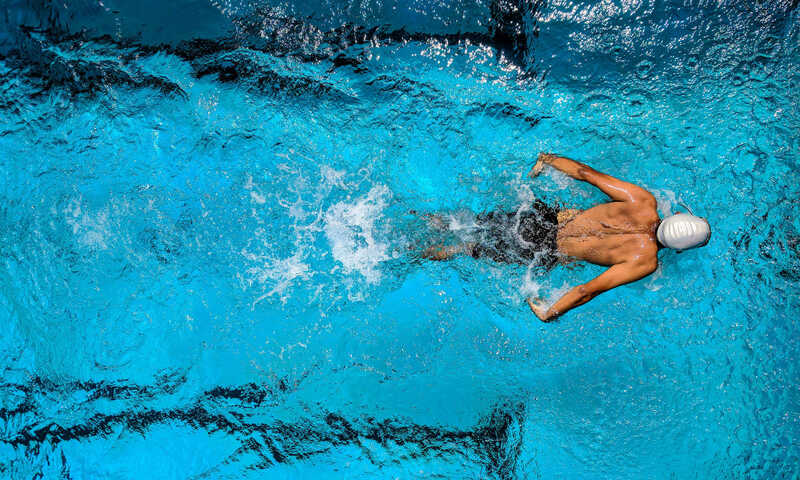 All groups are led by competent coaches, often former competitive swimmers. At least two coaches are present at the pool during each training session. Price for swimming courses (1 hour twice a week) is CZK 9,000 for the whole 2018/2019 school year. Attendance is required on both days of the course each week during the whole school year! From Metro C Budejovicka: bus No. 124 or 134 to bus stop Na Planine, further 200 m walk in the direction of traffic. Courses run during the whole school year except school and public holidays. If we have a free slot in our courses, we can accept your child at any time. However, the most suitable time is from mid-August to the end of September. During July and August, we recommend that you call or email us in advance to book the best time and place for a meeting, because the pool at Zeleny Pruh is closed over summer holidays. During the school year, you can come with your child directly to the swimming pool at the time of our lessons. Please bring your swimming gear (see below), otherwise you will not be allowed to enter the swimming pool area. We will assess your child’s swimming skills right in the pool and recommend a suitable swimming group (respecting your preferences and schedule). This initial assessment session is free of charge! The price for the school year 2018/19 (1 hour twice a week) is CZK 9,000. Pay by Bank Transfer to school account No: 75963389/0800, use your child’s Birth Number/Identification Number as the variable symbol and include the child’s name. Refunds and cancellations (when the child is ill)? Unfortunately, we are not able to refund any money when your child is ill and cannot attend the lesson, because we have to pay the rent for the pool and coaches’ salaries regardless of how many children attend each lesson. However, once your child is healthy again, we can offer you additional attendance in a group at an appropriate skill level to compensate for the missed lessons. What do we need to bring to the pool? Swimsuit, soap or shampoo, swimming cap, swimming goggles (needed for keeping good head posture), and slippers are desirable.